Today's post comes with a very heavy heart. 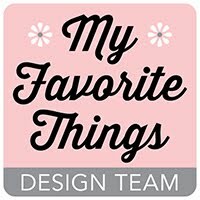 I have made the difficult decision to step down from the My Favorite Things Design Team. MFT has been a HUGE part of my crafty life for so many years so this decision was not an easy one. After 15 years of being a stay-at-home mom, I made the decision to go back to work this past December. I am really enjoying my new job, but found that the demands of a design team just didn't fit into my life anymore. I also want to spend more time with my girls who are (almost) 16 and 13. Before I know it, they will be off to college so this time is important to me. I have to admit that I won't miss the deadlines, but I WILL miss being part of the amazing MFT team. How lucky am I to have designed for Kim van der Sanden and her amazing company for as long as I have. I will continue to cheer MFT on from the sidelines and will anxiously await all of the new goodies each month! OMGosh I will miss your creations so much. 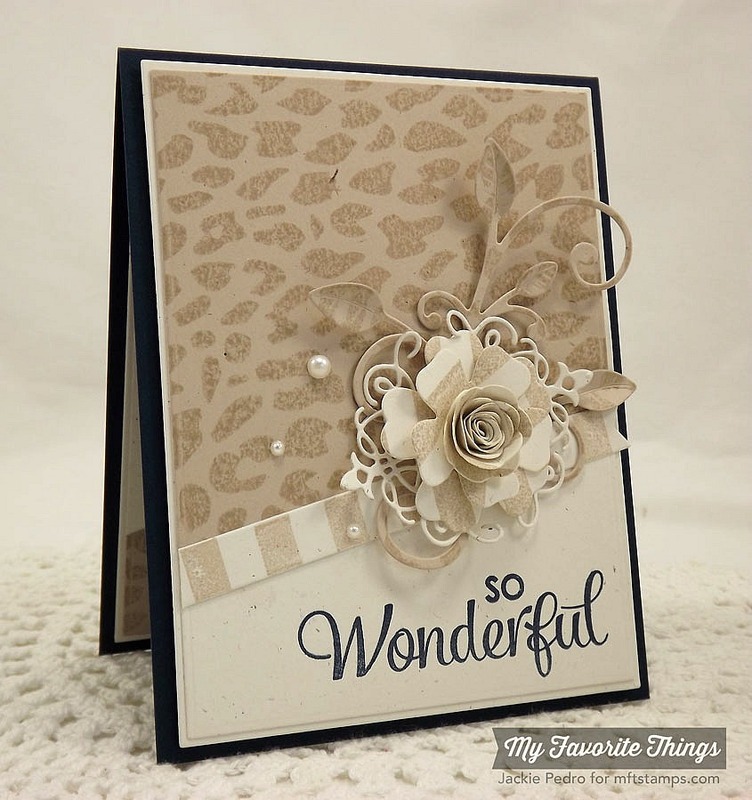 I just LOVE the way you create with background stamps and layers. You have a fabulous style all your own and have provided so much inspiration. I understand your decision and most definitely the importance of time with family. Blessings in all you do! I couldn't wait to visit your blog for inspiration, every new release!!!!!!!!!! :( you're one of my favourite MFT designers! I'm sad, but happy for you that you have a job and you enjoy it! good luck! I am so sad to see you leave! I always look forward to seeing what you do with the new products each month. Best wishes with your new job and I hope to still see some cards from you once in a while! 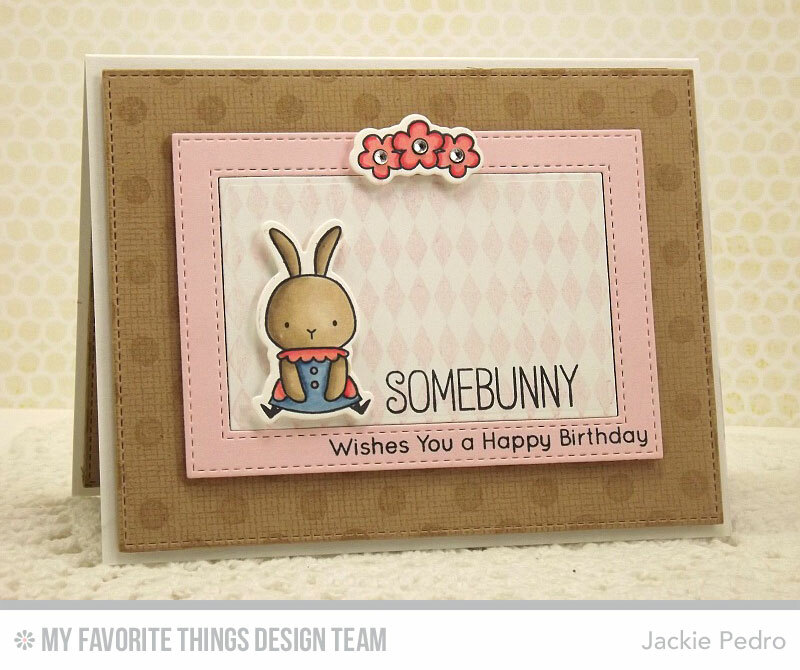 Jackie, you will be sorely missed on the MFT design team! I've always loved your amazing cards but I think we all understand that you have to do what's best for yourself and your family. I will sure miss you. I hope that you will continue to create and post. You have helped me grow in my card designing. 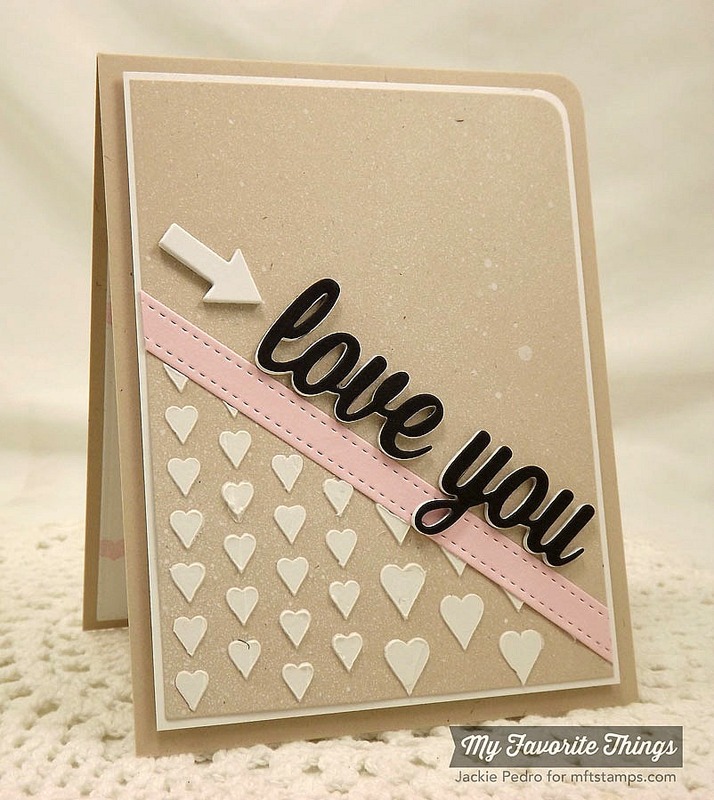 I have loved to look at all the wonderful cards that you have created! You will be missed, but wish you luck and happiness in your new endeavor! The MFT team will definitely feel your loss, Jackie, and I personally will miss seeing your lovely MFT creations during release time. Good luck with the new job and I'm sure we'll be seeing future lovely creations on your blog. I hope you will continue to post when you can. You will be missed, but completely understand. Enjoy your family and your new job!! Sure hope you will post when you have some extra time. Hugs! I have visited your blog daily and will sorely miss it. I love your style. Your cards have been an inspiration to me. I do understand your decision, though, and wish you all the best in the future. Who knows, maybe you'll be back someday..... hope, hope. Jackie - I will miss your beautiful cards for sure but totally understand the need to balance your life. Thank you so much for years of inspiration. 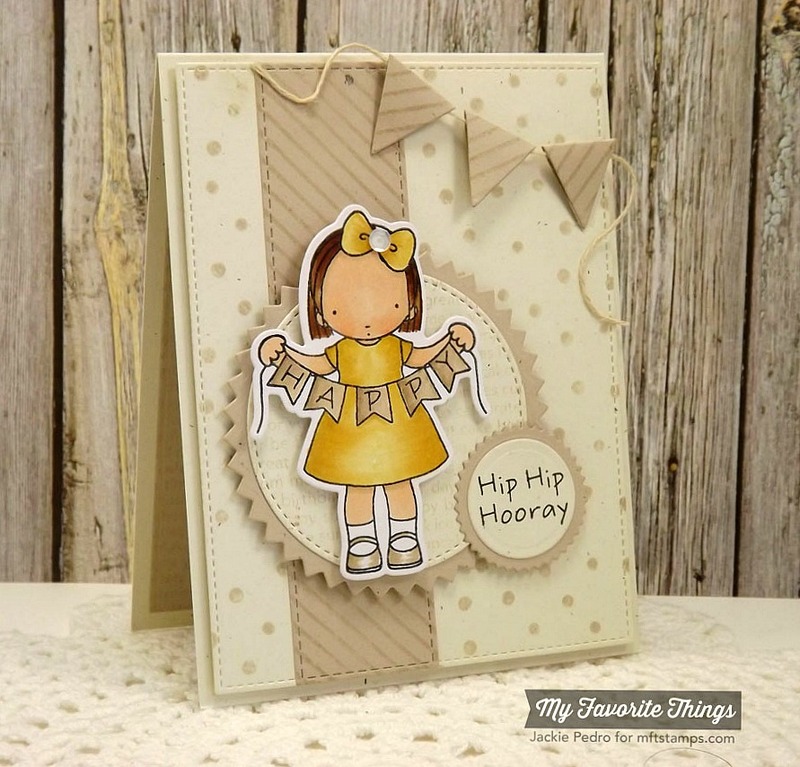 Your creations with MFT have always been amazing (and anything else you create with for that matter!) and I know you will be dearly missed. With that being said, good for you for your decision. Family first is always the way to go. The time flies by and our kids are just a blink away from being gone so enjoy the time you have with them to pour into their lives :) They are too special not to! Glad the job is going well :) I started PT work and LOVE it - and yes, it definitely cuts into crafty time but so far just cutting back on daily posts makes it manageable. Hugs Jackie, I am sure it was a hard decision to make. I know how much you have inspired me so I know you will be so missed on the team. You are such a sweetheart!!! You are my favorite design team member. Your cards are always so fun to see. They are simple, clean and lovely. Your talent will be missed! Enjoy your time with your family. You will never regret that decision to spend more time with them while they are still home! Dito to all the nice things the people before me said. I wish you the best and I will miss you. Don't give up on your talent, you are awesome. these decisions can be difficult but in your heart you know when you've made a wise one. Please keep sharing on your blog from time to time. That would be a delight. From your Willow Glen friend who now lives in Nebraska!!!! Gorgeous cards Jackie!!! So sad to see you leave MFT but, can understand the need to step back!! Oh this is such sad news, I very much enjoy your designs each month. But I understand work and family must come first. Looking forward to seeing what your "not deadlines" creations will be. I've been following you for over a decade. I will miss your creative talent, but you are so right to take time for your daughters. Mine are 46 and 41 and I still can't get enough of them. I know that the time I "took" (cause sometimes you have to grab and fight for those opportunities) has made that special difference to our relationships. God Bless You. Pedro?!?!?! I don't know what to say than I get it! But I am going to miss all your amazing work! You are the one I go to first when I need some inspiration! I wish you nothing but the best and please stay in touch!!! Bond will always be here for ya! Wow I'm really gonna miss your gorgeous projects! Good luck on your new adventure. Please don't be a stranger! Awww... Jackie P... I know this was a very hard decision for you. Still, there are times in life when something has to give, and we can either recognize it or run ourselves ragged trying to do it all, making ourselves and those around us miserable. And who wants that? You can make beautiful creations on your own time, and we will still be here to appreciate them! :) Love & hugs to you, sweet friend. I'll miss you! Your style and use of all the MFT products is what attracted me to the company. Thank you for sharing your beautiful creativity. Hope your not a complete stranger and you will still post some. Best of luck! Wow, how in the world did I miss this?! I'm sure it was a tough decision. I will truly miss your work - you know I've been a LONG time fan! :) I wish you much success in whatever you do!!! HUGS! Family is the most important part of life. Today's kraft cards are such beauties, Jackie. I know MFT has been very fortunate to have you on their team for so long. But, family priorities must come first and you won't regret your decision. The kids won't be kids for long and you will be happy to have spent more time with them. All the best to you!! I'm so sorry to see you leave but I would be the first to stand behind you. My girls are 30 and 32 yrs old. Things have changed recently and I would give anything to go back to re-do the past if I'd have known it was going to impact our relationship today. As you well know, family is priceless. Invest in your family! I will miss you and your beautiful work :( Many blessings! I have waited to comment on your decision until now. I will definitely miss seeing your cards during release time with MFT. Your cards were the reason I found MFT and started purchasing their products. You said that Kraft was your favorite. Before you said that I was getting ready to say it was the Lemonade pink. I love those combinations in your work. Good luck with your job and you are right that you need that time with your girls. I have an 18 yr old getting ready to go off to college and a 21 year old in college. Life definitely changes once they leave. Nashville has been the home of the world famous grand ole opry  since 1925.The opry has been located in the grand ole opry house in eastern nashville since 1974.From 1974 to 1997 the opry house was part of a theme park called opryland usa, which closed due to low attendance and was subsequently torn down and replaced with a mega shopping mall called opry mills.Nashville http://explorersedge.net/gentle-and-christian-louboutin-womens-ankle-boots-quiet also has a great bar scene.If you like to drink, you can go"Honky tonking,"Also known as"Bar hopping. " Cornelia fort airport, 2640 air park dr, +1 615 226 4258, . American charter http://hogwild.com/?p=1245 express, 4432 airport rd, springfield, +1 615 384 4181. Lebanon airport 760 franklin http://hogwild.com/?p=1245 rd, lebanon, +1 615 444 0031. Nashville is a nexus http://auregan.net/blog/2015/07/firm-michael-kors-womens-before.html of several interstate highways, including i 65(North south), I 40(East west), and I 24(Northwest southeast).The various highways sometimes merge and split without the typical exit offramp design, so travellers should consult maps before attempting to navigate the area.There is easy access to/from chattanooga, knoxville, memphis, louisville, among othersy. Nashville mta, +1 615 862 5969, .Operates routes throughout downtown and the surrounding area.$1.70 for an adult local fare, with http://fom-okovi.rs/uncategorised/fashion-louboutin-sale-shoes-trends/ no transfers allowed.An all day pass for an adult is $5.25. BitCoin is a Crypto currency that has appreciated in value and turns out to be very expensive. These BitCoin can be gotten by simply mining them online. The link below give you full understanding about how to Bitcoin mining is done. Mining Bitcoin is a free but not easy process, has it involves solving some few mathematical questions. But it turns out that most of these questions asked when mining BitCoin seems so hard to answer and has gotten many people to give up in mining. We have developed a software that can easily help individuals participate in BitCoin mining. Our software helps solve these mathematical questions and help you with deep Mining of BitCoin. I am a SAHM to two beautiful girls and one adorable miniature dachshund. I have a terrific husband who supports my stamping addiction! So glad you stopped by! All content (including text, photographs and design work) is Copyright Jackie Pedro. My original artwork is for personal inspiration only and may not be copied for publication or contest submission. 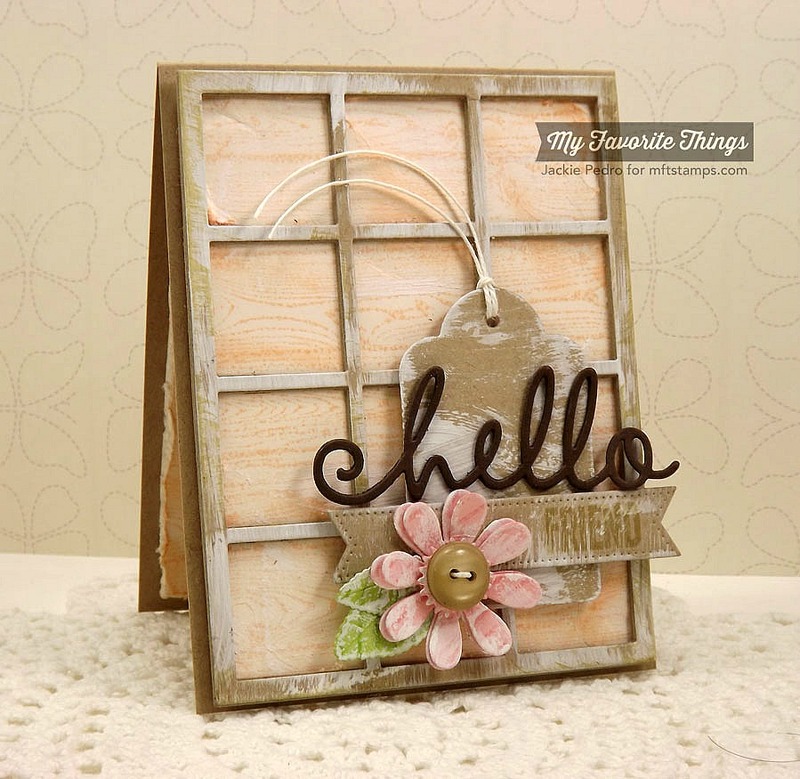 MFT February Release Countdown: 2!